Did you know that Section 8, sub-section 12 of the Imperial Acts Application Act dictates that “All promises of fines and forfeitures of particular persons before conviction are illegal and void”? Quite simply, that means that, until you have been convicted of something by a court of competent jurisdiction, ALL fines are illegal. That means speeding fines, parking fines, red light camera fines, infringement notices, expiation notices, failure to vote fine, failure to register dog fines and ANY other type of fine you can name, are ALL completely illegal! Yes, the Imperial Acts Application Act is an Act of the Parliament of Victoria but if you go to our Constitution page – click here – and refer to Sections 116 and 117, you will see that ALL states have to give full force and effect to the Victorian Act, and you cannot be punished or penalised because you live in another State that does not have that same Act, has repealed it, or has changed it in some way. And, furthermore, even if there was no such thing as an Imperial Acts Application Act, the Imperial Acts would still apply anyway because, again, as is stipulated in the Commonwealth Constitution, all the laws that applied in England at Federation still apply today, because only the UK Parliament can repeal them. We would also like to point out that any fine is issued to your ALL CAPS name or Strawman, and not you, and that is another major argument that you need to get your head around. "Speeding Fines, What You REALLY Need to Know!" One of our Members has also sent us a short but very powerful document entitled "Police Powers" that provides the details of actual cases that prove that you do not have to speak to Police unless you are under arrest. It also provides information that proves that you are completely within your rights to film and/or record the police if they pull you over and it also provides the framework for standing your ground and not incriminating yourself. You can download this excellent document by clicking here. We are obviously great supporters of the excellent work that Aussie Speeding Fines does in regards to informing and educating the general Australian motoring public. However, having said that, their information really is only the starting point, not the be all and end all. 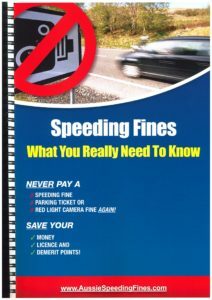 We believe that every person should have a copy of the ASF e-book – “Speeding Fines, What You REALLY Need to Know!” – and that is a great place to start if you have never challenged a fine before. Please sign up via their E-Book Membership page if you haven’t already. They have some excellent template letters that you can use to challenge all manner of different traffic fines, and a heap of really great information in regards to fighting your fines in court. Now, having said all of the above, our aim with the Know Your Rights group is to inform and educate people so that they fully understand their rights and can exercise them freely without having to rely on template letters - ideally, we want people to be able to write their own letters. So, to give you something to aim for, we have provided an amazing series of letters from our founder, Mike Palmer, to CarePark and their lawyers, that he drafted up himself. We will leave it to him to give you an introduction to them below and we would suggest that anyone who ever pays a CarePark – or other private parking fine – again, after reading these letters is truly beyond help. And, if you don’t double up in fits of laughter reading these as well, then you probably need help of a different sort too. I received a few “penalty notices” from CarePark Pty Ltd, which I duly ignored. Then, in February, I received a statement from them, along with a letter from their lawyers – Parke Lawyers – telling me that if I didn’t respond to them within 10 days, they would take me to court – see copy of letter attached. I obviously ignored that too and then, some 7 months later, I received another letter from Parke Lawyers about the same issues so I decided to have some fun with them. I have attached a copy of my numerous letters back and forth which I hope that you find both enlightening and amusing and that anyone reading them ensures that they NEVER pay a CarePark “penalty notice” EVER again and passes this onto others to ensure that they don’t either. At the end of the day, if people stop paying them and, even better, start formally challenging them – and, therefore, costing them time and money to personally respond and/or to respond through their agents - their business will be forced to close VERY quickly, and that is my ultimate goal. I hope you and anyone reading these enjoys them and that you take the points detailed in these letters on board and that you use these various arguments yourselves. Click this link to download a copy of the letters back and forth between Mike and Parke Lawyers. And here's a similar letter that one of our pro-active members, Paul, recently sent Care Park too.